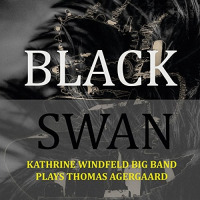 Kathrine Windfeld is considered one of the most exciting new scandinavian jazz composers and arrangers in many years. she leads a sensational 15-piece scandinavian orchestra, a youthful, charismatic team of razor-sharp ensemble musicians and star-quality soloists. Her debut album Aircraft won new artist of the year in 2016 at the Danish Music awards, with nominations for Composer of the year and album of the year, whilst her latest album Latency has gained enormous critical acclaim since its release in 2017. The music is colourful, merging tradition and innovation with a mixture of intense, physical grooves, sophisticated harmonic passages, poetic ballads and fiery ostinatos in explosive arrangements.